Dale Prokupek, M.D., F.A.C.P. (Beverly Hills) - Book Appointment Online! 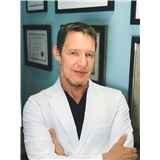 Dr. Dale Prokupek is a board-certified internist with a sub-specialty in diseases of the GI tract. Our office is here to serve you - whether you need a primary care physician or treatment of a more complex intestinal issue. Please take a moment to survey our services to see if we meet your needs, or call (310) 360-6807 weekdays between 8:30am-5pm. Everyone in the office was prompt, professional, and kind! I felt very well taken care of. A knowledgeable and understanding nurse that made me feel welcomed and comfortable.